The senseless murder of rapper Nipsey Hussle has left many wondering how a community builder and activist whose sole purpose was to uplift others could fall victim to a vicious crime. Rapper T.I. 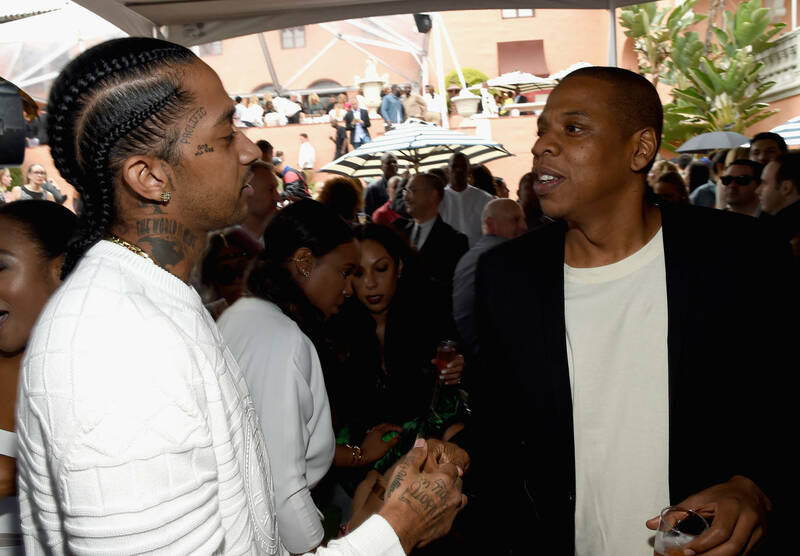 is always a voice who speaks up on behalf of his community, and he recently caught up with TMZ to discuss why he thinks someone would come after a non-problematic rapper like Nipsey. Tip believes that when some is moving toward greatness and operating at a higher vibration, it will attract some who want to partner with that energy while disgusting others who are envious. "I think I'm disheartened, disappointed, and disgusted that the very people that we all...we try to liberate and uplift are the ones that ultimately, at the end, hope to see our demise," T.I. says of how he's feeling about Nipsey's death. "But that's neither here nor there. I think that right now I'm just focusing on some kind of clarity and understanding. Eventually man, I know as the days continue to progress, I'll find it." "You know, because of the lack of education and the lack of opportunity and the lack of experiences in our communities, most of us who are subject to the confinements of those communities, they operate and exist on such a very low vibration," Tip continues. "When we see people who operate on a high vibration and who have a lot more fledged out, detail thoughts...there's either one of two things that's gonna happen, okay? Some people are going to learn from that person and follow them into whatever greatness comes or from whatever opportunities that can exist from that. And then the other half is going to detest the very existence of that person because their greatness upsets all the things that you're not doing in your life." T.I. goes on to say that those low vibrational people become unsettled by the greatness of others because they're really dissatisfied with their own lives. "That usually ends up in violence, in senseless violence, through jealousy." He says, "I think that people just hate, not that you're doing something, but the fact that they're doing nothing, and you doing something reminds them too much that they're doing nothing."